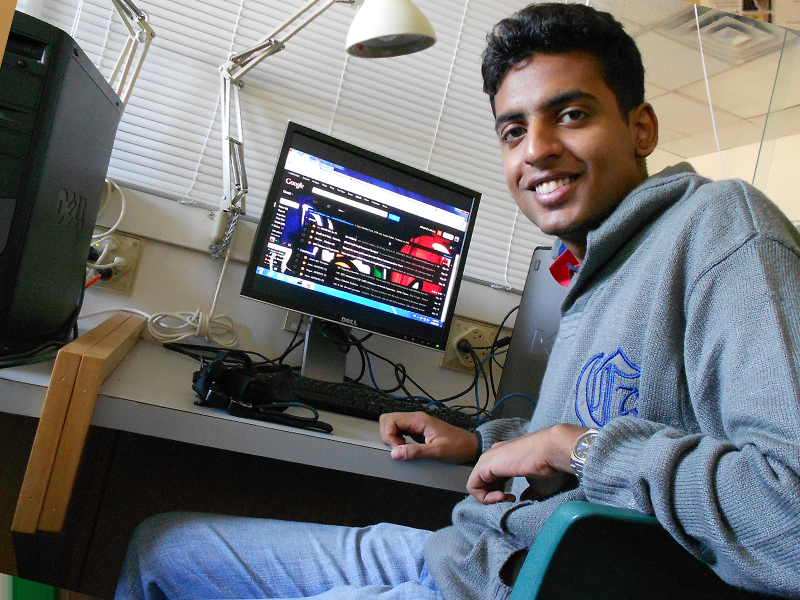 Abhishek Malali has found his calling at University of New Brunswick’s Faculty of Applied Sciences. Under the guidance of Dr. Janet Light, Abhishek is researching how to use signal processing to detect when an individual is about to fall. The research has the potential to change the way we approach healthcare for the elderly and those living with Alzheimer’s and Parkinson’s by reducing overall dependence on caregivers and keeping potentially harmful accidents at bay. Alongside Dr. Light and her team of researchers, Abhishek is investigating microsensors that capture data from foot pressure and brain signals as a way to monitor when a subject loses balance. The research has already resulted in the development of smart shoe sensors that examine factors such as impaired coordination and change in posture to identify a potential fall.